If you have lots of goat milk handy, but dislike that taste of it, what’s a girl to do? This was the dilemma that Rebecca Woodburn-Rist faced, which was answered by lots and lots of ice cream and caramel, and a whole new enterprise! Rebecca is now making caramel sauce out of goat’s milk as well as cow’s milk, with flavors including vanilla, cinnamon and coffee, and is selling it at retail locations across the island! I’m also a sucker for the sweet and creamy deliciousness, so check out what’s happening at Haleakala Creamery! 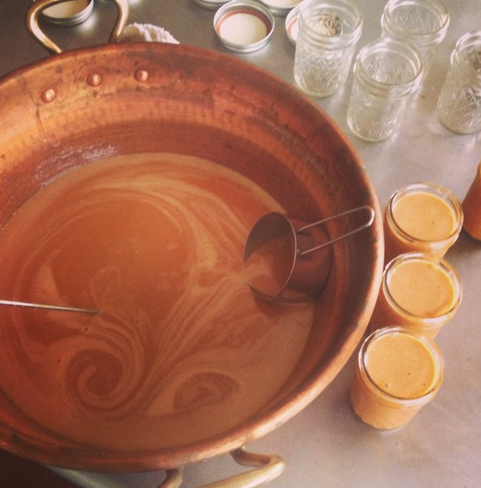 Maui Made: How did you learn how to make caramel? Rebecca: ​I taught myself how to make caramel after reading about traditionally made goat’s milk caramel (cajeta) because I had a surplus of milk. It took a lot of trial batches to find the right balance of sweetness and silky texture. The cow’s milk caramel cooks a bit differently and I have had to experiment with different ratios of milk and sugar to get the right texture. 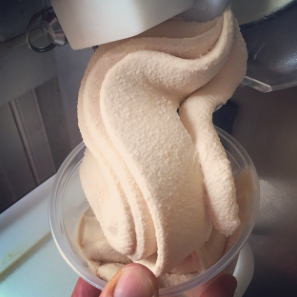 I started making caramel​ in the spring of 2013 after a year of making my own goat’s milk ice cream​. Haleakala Creamery offers goat and cow milk Caramel in different flavors at the Upcountry Farmers Market and retail locations around Maui. Rebecca with a baby goat! MM: Where do you make your caramel now? R: ​I use the Lokahi ​Kitchen in Wailuku. It has been a huge help having a kitchen available to rent so that I could start wholesaling my products. We are currently in the permitting/design process for our own facility to be built on the new farm property. Goat milk ice cream is also served up on Saturdays at the Upcountry Farmer’s Market if you make it up there early! MM: Where do you get your goat and cow milk? ​R: My cow’s milk comes from Island Dairy on the big island under the Hawaii’s Fresh label, they are one of the last commercial dairies operating in the state of Hawaii​. We are in the process of building our own micro dairy facility and will begin using all of our own goat’s milk as soon as it is certified. Until then I am using Summerhill goat’s milk from California. MM: What’s the hardest thing of having a business on Maui? ​​R: The cost of land on Maui is very high and for a startup farming venture it can be very prohibitive. The islands also have a very small gene pool of dairy goats and I had to fly in a buck (male breeding goat) from Arizona to improve my herd. MM: You have over 1,200 followers on Instagram – how did you do that? R: ​It’s all the cute goat pictures! By connecting with other farms on Instagram I noticed what types of pictures people like to see and how they respond to them. The great thing is that I have connected and become friends with so many of my Instagram followers and I am always excited when someone introduces themselves in real life! MM: What’s next for Haleakala Creamery? R: ​I am currently working on spreading my caramel sauce to new retail locations. 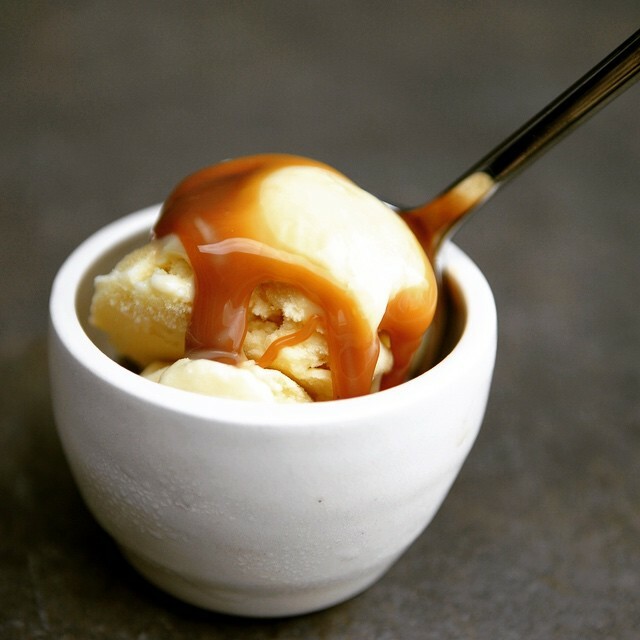 My caramel is being reviewed by Whole Foods as a new product so fingers crossed that goes well.​ Within the next year we plan to be in our own dairy and kitchen facility​. I am experimenting with chewy goat’s milk caramel candies and hope to be able to retail those soon. R: ​I grew up in Victoria, BC but I have family that live in Hawaii. My sisters grew up on the big island and Hawaii always felt like my second home. I became a resident in 2001, I love living in the islands. Growing up my family owned a horse drawn carriage business and I continue to ride and work with horses. My husband and I just welcomed our newborn son about 3.5 months ago and I have been juggling goat chores, caramel cooking and baby raising. I couldn’t do it without Dylan! I love growing our own food and knowing where all the ingredients came from. 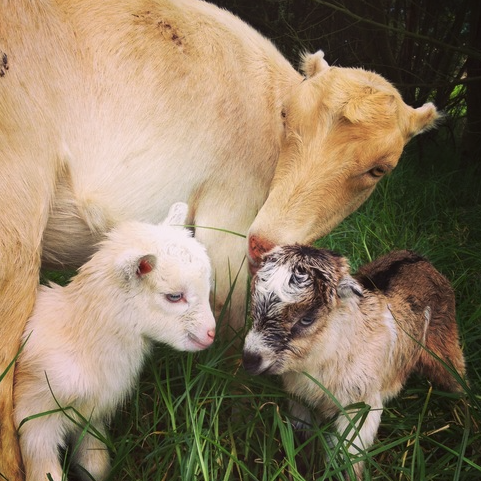 By making a caramel with local ingredients I get to do two things I am passionate about – Promote local food and care for a herd of dairy goats. Mahalo to Rebecca for chatting with us about her exciting new products! 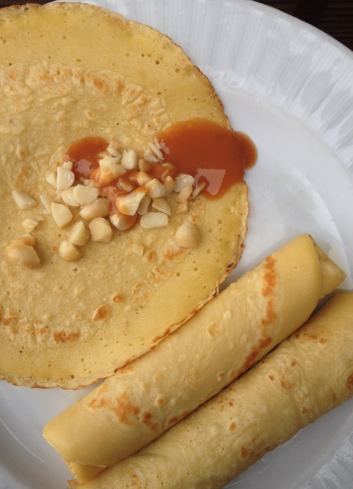 Check out some of Rebecca’s recipes (like these delicious crepes) to see what she does with her caramel!